On sale February 8th or so. AUTO: When this Unit is placed on (RC), choose 1 of your other units in the same Column, during that turn, it gains Power+2000, and if that Unit has the Ritual ability, choose 1 of your Units, during that turn, it gains Power+2000. 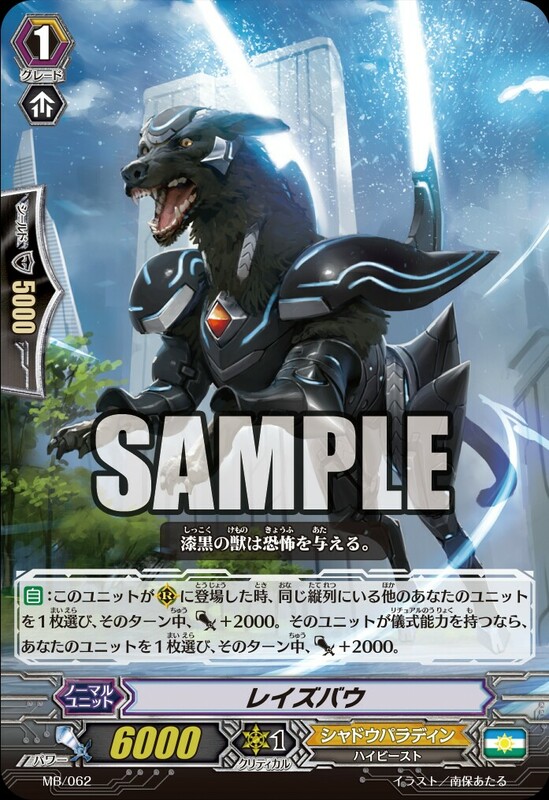 AUTO (RC) 1/Turn: When this card and another of your Units with the Rush ability Stand due to your card’s effect, Counter Charge 1.